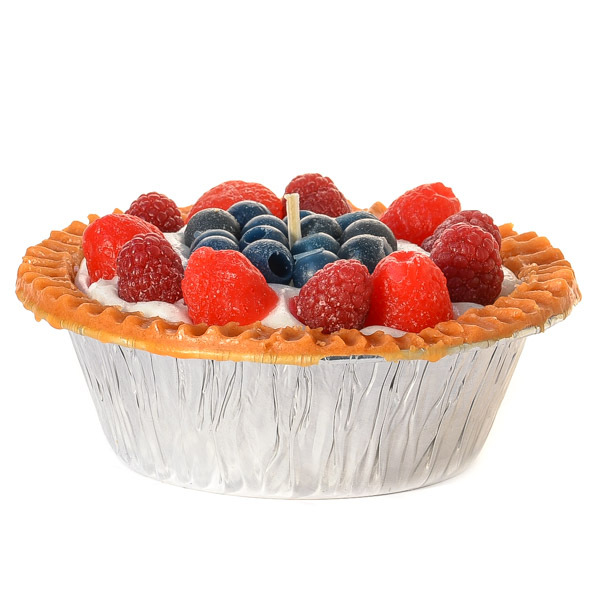 Our 5 inch scented berry pie candles are hand made in our family owned and operated factory here in the U.S.A. 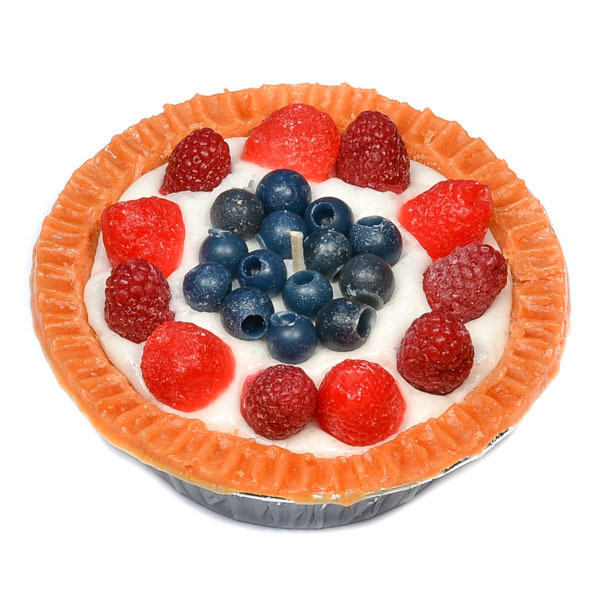 These scented candles consist of a base, the crust, and a delicious berry topping. The candle can be burned right inside the pan however it should be placed on heat resistant surface. The base may get hot once the wax is nearly gone and the flame gets near the bottom. Use these delightful pies to decorate in your kitchen or dinning room or give them as house warming gifts.